Here's a picture I took of my phone (Xperia PLAY) running Megaman X: Eclipse. That's really awesome. 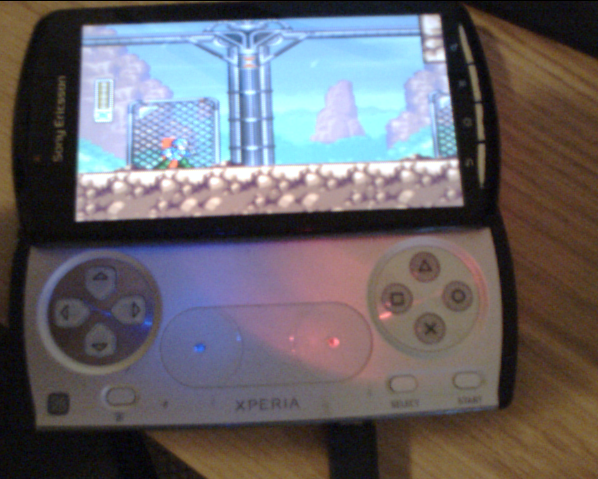 I'd love to play this on my own Galaxy S3. Didn't see this comment until now, sorry! We'll be aiming to optimize performance on the S3 and Xperia PLAY off the start. And OUYA as well if we have it by then. We don't think we'll be adding support for virtual keys on the touch screen so to control X you'll need a gamepad of some sort. PS3 or Wiimote with the classic controller would work nicely. There's possibility of adding a touch interactive pause screen and stage select screen, though.